FREE Women’s Quilted Checkbook Wallet! You are here: Home / Great Deals / Christmas Deals / FREE Women’s Quilted Checkbook Wallet! Sears has this Women’s Quilted Checkbook Wallet on sale for $9.99 and you can get back $10.09 in Shop Your Way points, making it FREE! 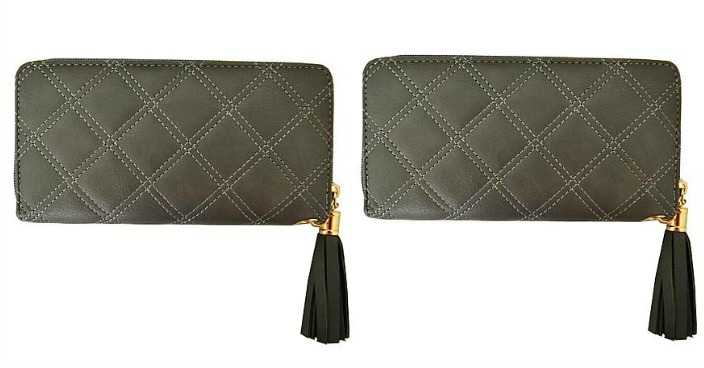 You have some serious style when you accessorize with this women’s Frieda crossbody wallet purse. With fashion and functionality, this purse lets you decide between detachable crossbody and wristlet straps. A strap covers the interior card slots to keep your property safe, while three goldtone zipper pockets on the front rev up the glam.